Hello everyone, I managed to find time to fit you all into my busy schedule 😀 YAY! I missed you all. 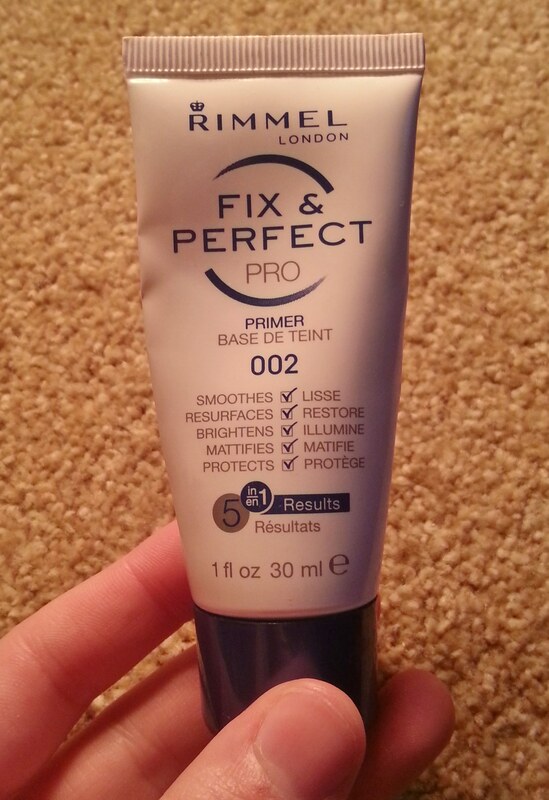 Today I thought I would share with you all a product I have been using called the Fix & Perfect Pro Primer from Rimmel London. 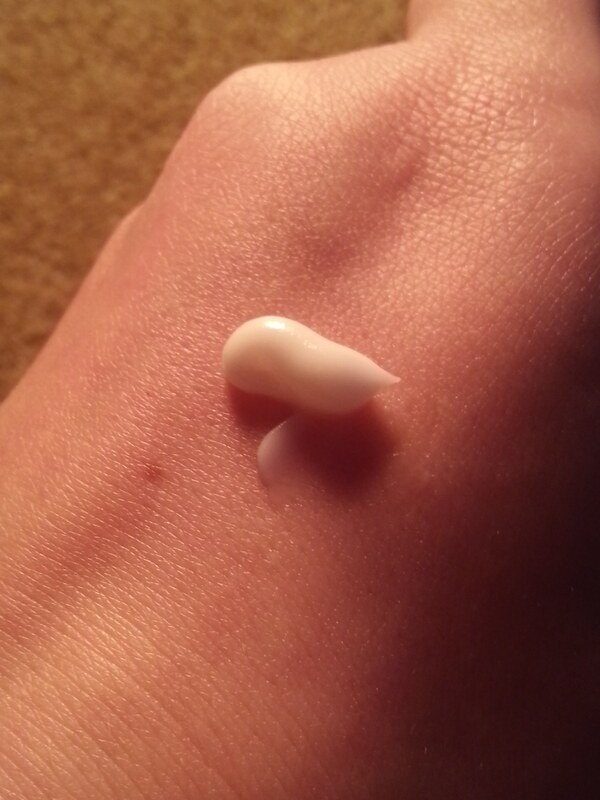 I believe this product cost me under £5 to buy which is a good price for primers. I have used this product for the end of January and beginning of February and have nearly used the whole tube. Some of these statements I agree with but there are a few I do not. I would definitely agree that this product smooths, resurfaces, and maybe brightens my face up a little. However I do not agree that this product mattifies and protects my face. 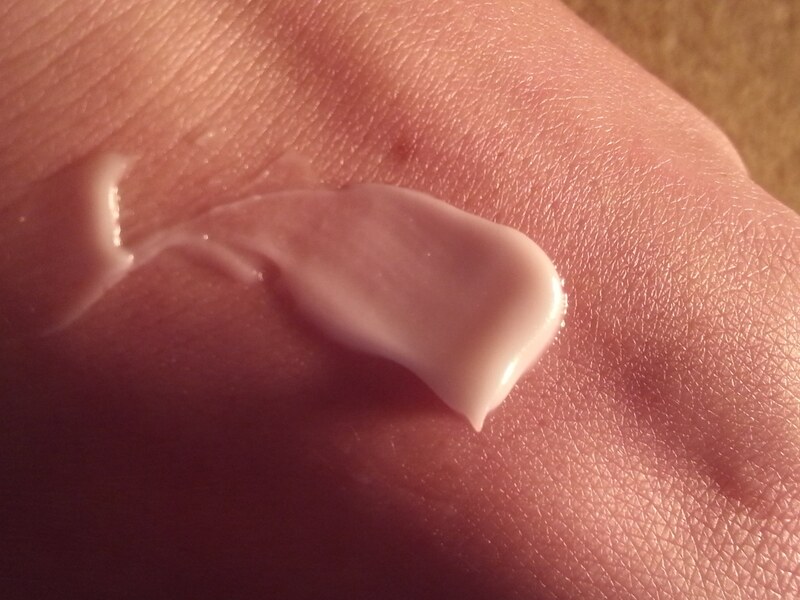 When using this product I found I had to use a lot of the cream primer on my face to get a good coverage otherwise there would be areas of my skin that felt very dry and untouched, which I think is a disadvantage as I found that this product is easy to use up and I would have to keep buying a new one after two or three weeks, if that! I found this primer does not feel like a primer at all it has a thick consistency but it does not have the feeling of a normal primer such as the Benefit porefessional or the Smashbox photo finish primers. I found my skin looked very shiny and not matte as stated on the cover, and I found my foundation did not stay on for longer infact I found that my foundation moved around my face a lot when using this primer, which lead to a few spots appearing on my face, which was more than normal, so I wouldn’t suggest that this primer would protect your pores for those of you with spot prone skin. The only reason I have been using this primer is that I get up early in the mornings for placement and I find this primer makes my skin feel soft and revitalised in the morning, and gives me a fresh looking face. I usually use some concealer and powder to reduce the shine and that will be me done for the day as it does make skin look younger. I would suggest that you all use this for more of a cream than a primer as I found it perfect for just keeping my skin soft and refreshed. I hope you all enjoyed and I gave you all a good look into this product, if you wish to know more please comment below and I will reply pretty fast if I am home, if not the best way to contact me is on my Facebook page or twitter account which is just on the right. Have a lovely Sunday evening and I hope Monday is a good start to the week for you all. I never heard of it and I am glad it was a cheap product not expensive I keep looking for a good drugstore primer which is hard. I am glad I was able to help you make a decision. Yay oily skin, haha. It’ll probably take a bit of experimenting to find something suitable. Yeah I’ll have to try that though, never thought to use it in just that way.